I am always in search of healthy, naturally gluten-free sweets. I prefer treats that aren’t too sweet also. 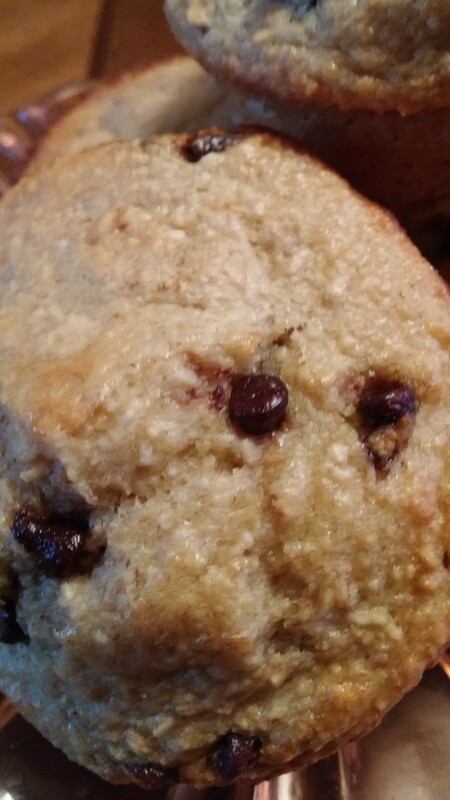 I saw these muffins on a blog, Dinners Dishes and Desserts recently and gave them a try. Delicious! 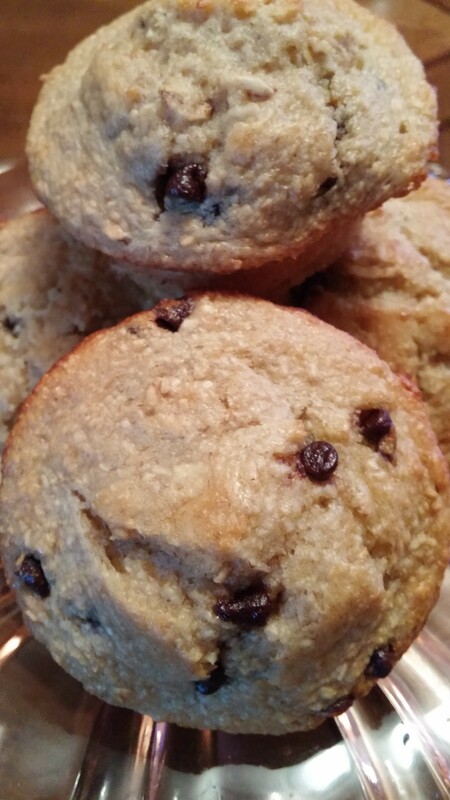 They are the perfect muffin as a breakfast treat or a light dessert. They would make a great addition to any brunch menu as well. I own a standard blender and that is what I used to make them. Just make sure you add your wet ingredients first then slowly add your oats in. Super quick and easy! Give them a try and pop by the blog I mentioned, she has some great recipes! ENJOY! Place all ingredients except the choc chips, in a blender. Blend until smooth, stir in chips by hand. Place in paper lined muffin cups that have been sprayed with Pam. Bake at 400 degrees for about 15 minutes. ENJOY!